We’re ordered, and we’re currently awaiting, MANY more kilos of beautiful undyed ModeSock and ModeLuxe for dyeing and loving! If all goes well, it should be here mid-next week, and be up and for sale in our store by next weekend! Our first order of business; create the ModeLuxe in the colors of the Slippy Cowl so we can fulfill the wishes of the folks who want to make that same item! Second order of business; knit a few samples in other colors so folks can easily envision different color combinations! This downtime is perfect for upgrading the website (now each different yarn will be accessible through drop down menus under “ModeKnit Yarn” – try it!) and soon we’ll have different selectable menus for different colorways. Right now we only show images of yarns that are immediately available, but we have to think of ways to show all the colors AND whether they’re available in an easy to update way. I’m using a WordPress plug in called “Catablog” – which has much more power than I’m currently using – so the time is right to figure out how to use all that extra database goodness! AND it’s a perfect time to get some projects for other books / magazines finished, and to begin sourcing yarn for my boleros & shrugs book! If you know of an indy yarn that you really like, I’m trying to use as many indy dyers in the book, and I’m always on the lookout for great new yarn sources! I’m hopeful that all of you had a MAGNIFICENT holiday, and will continue on through next week (and BEYOND!) to celebrate the light and warmth that we can create in our own lives when it’s so dark outside! And in that spirit, I’d love to give you a wonderful Crescent Cookie recipe, gf_crescent_cookies. I’ve made this gluten free, but it’s incredibly easy to just trade out the GF Baking mix for the flour of your choice! I’m afraid it’s very nut heavy, but has no eggs! It is rich (buttery) but has little sugar. This is the cookie that always makes me think it’s Christmas! Try out Barking Dog Yarns. Her stuff is really great. 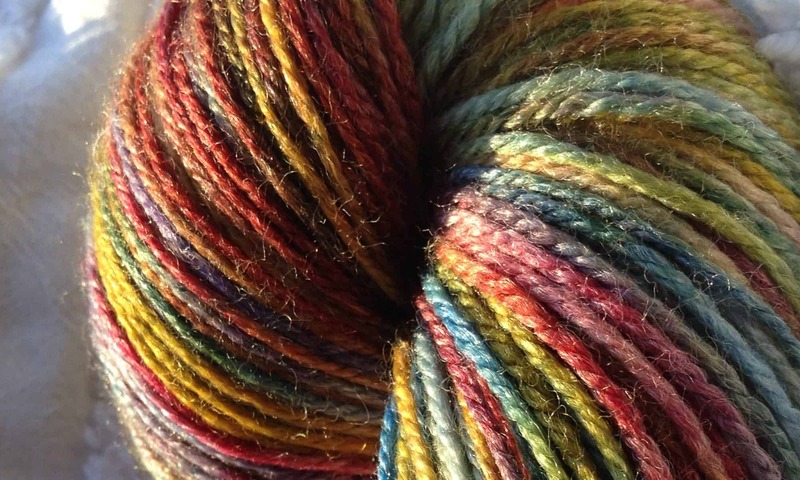 Knitcircus Yarns… She specializes in gradients now. Two of my favorite Indie yarn dyers are Mountain Colors out of Montana (http://www.mountaincolors.com), and Yarn Underground’s Shelley Stone out of Idaho (http://yarnunderground.com). Ray Whiting at knitivity.com is a really creative indy-dyer – – he has a very good lace-wt. yarn that I’ve used in several projects. He also has a really nice sock yarn that I’ve also used with very good results. Check him out!! I would be happy to provide yarn support. Please let me know if you would like more info. Love the ModeLuxe that I bought! The cookie recipe looks divine. I really enjoy baking with cardamom. Thank you for sharing it.